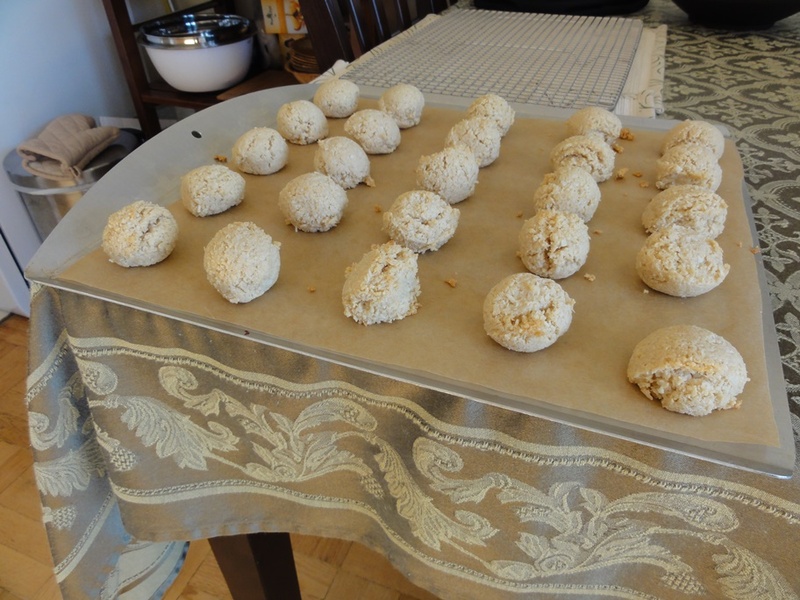 My thanks go to The Chic Life for this recipe for coconut macaroons, which I used as a basis to get the proportions right. 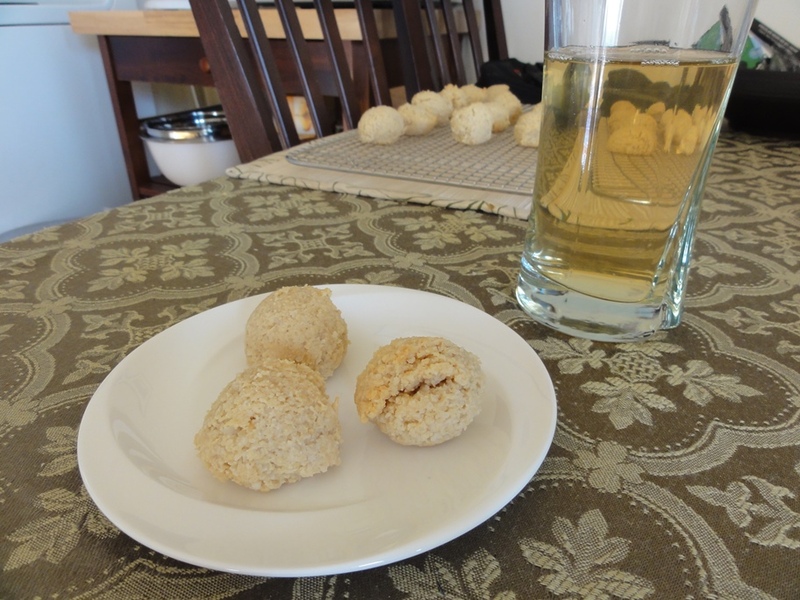 I was searching for a macaroon recipe for which the ingredients were a close match to the “Cocoroons” brand of macaroons, which are a little hard to come by but are simply amazing. Most of the recipes I found involved egg whites, which Cocoroons don’t have on account of being raw, vegan, and gluten-free all at the same time. The Chic Life’s recipe was an almost perfect match though, and I only tweaked the recipe slightly by changing the sweeteners. Preheat oven to 300°F and prepare a baking tray with parchment paper. 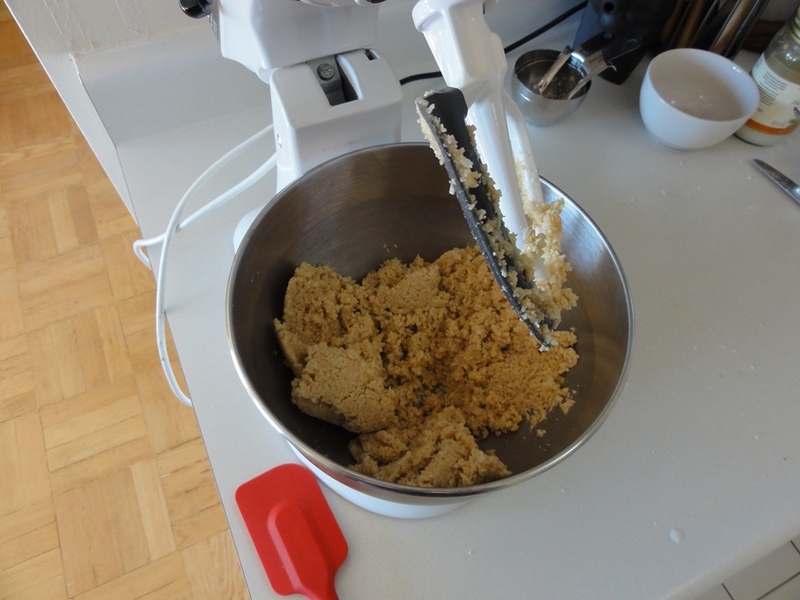 Combine all of the dry ingredients in a bowl and whisk together. Add the wet ingredients and mix until well combined. 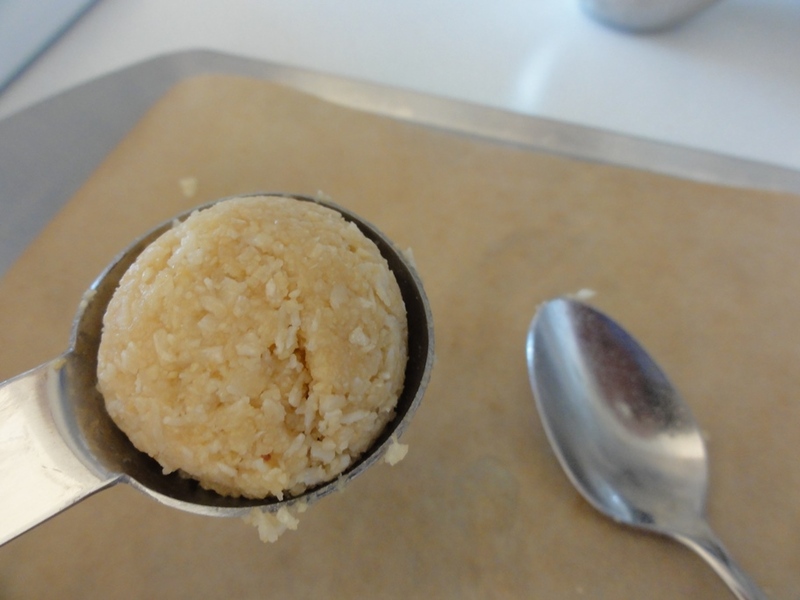 Spoon out tablespoonfuls into spheres and place on tray. Cool on the baking tray for 5-10 minutes and then transfer to a wire rack. The source recipe calls for using a dehydrator but I don’t happen to own one of those. If you ask the internet there’s a fairly standard way to use your oven as a dehydrator, but I took suggestion from the recipe’s author to try 300°F for a few minutes and that worked fine. That means these are no longer raw, they’re just vegan and GF, but I haven’t caught on to the raw diet yet so I’ll be okay. You can safely play with the amount of sweetener within the 1/4-3/4 cup range depending on how sweet you want these to be. If you go up to 3/4 cup they’re going to be very sweet and a little sticky, but about 24-48 hours after coming out of the oven, assuming you leave them in an airtight container on your kitchen counter, they’ll have dried out nicely and lost the stickiness (but not the sweetness!). 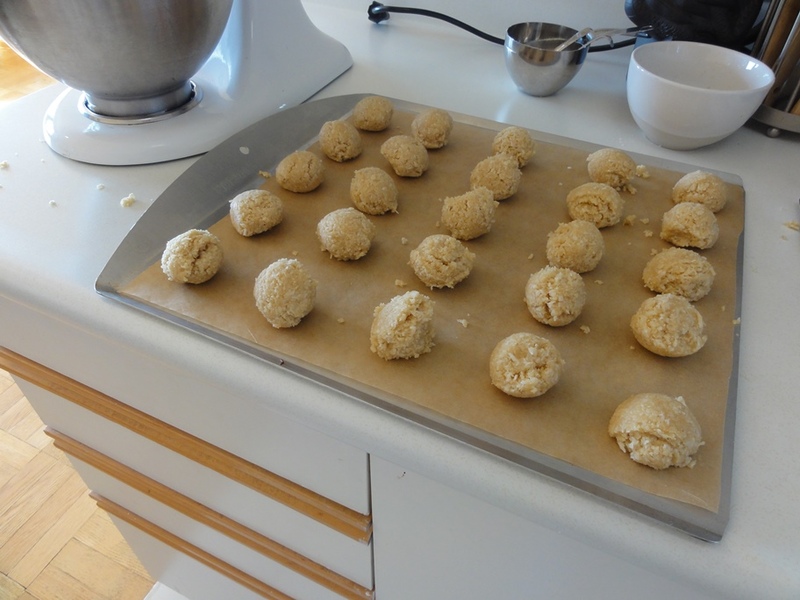 If you go down to 1/4 cup they’ll be a little harder to form because of the lack of moisture in the dough, and obviously not as sweet, but at roughly 2 grams of sugar per macaroon you can tell yourself they’re a mildly healthy treat. Other sweeteners can definitely be used to play around with the flavor. I’m also thinking of adding 1 tbsp of cocoa powder next time for a chocolate variety. 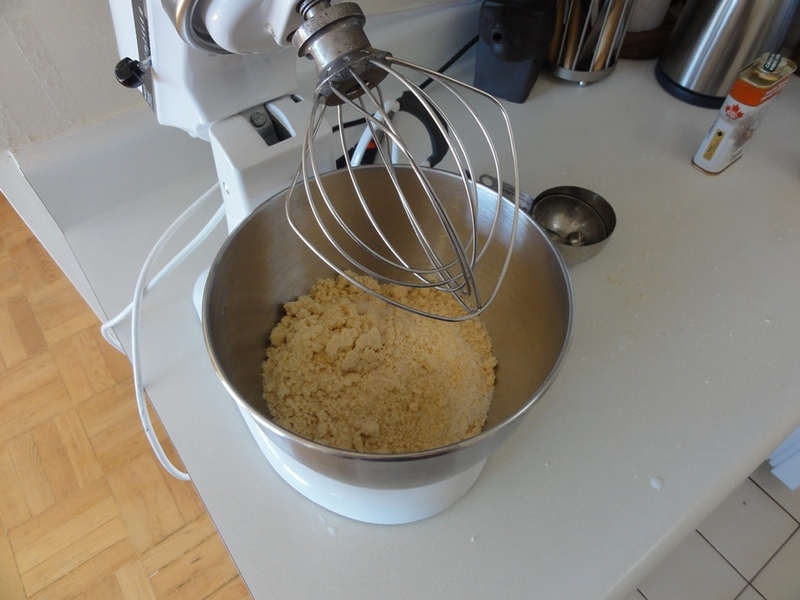 The stand-mixer is overkill here, you could easily just use a whisk, but that’s never stopped me before. 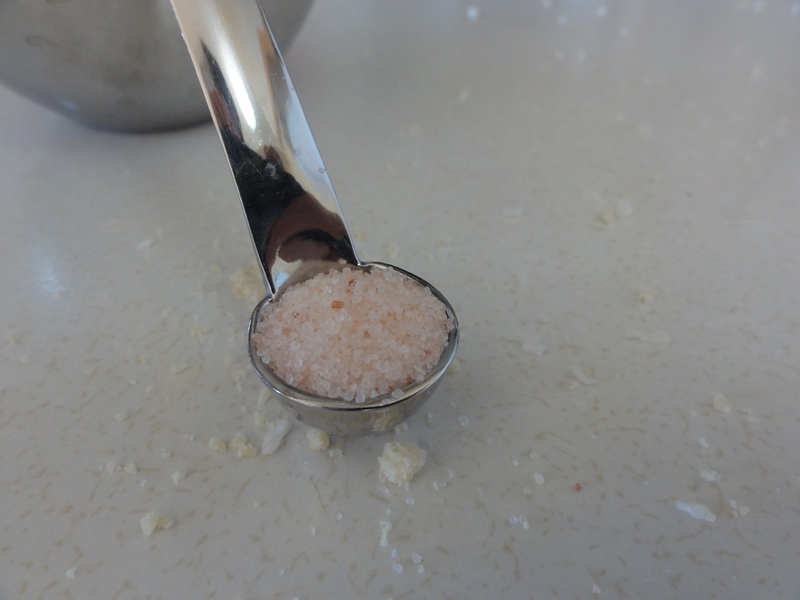 I’ve still not definitively decided if this salt, carved out of the Himalayan mountains, offers a distinctly different taste over normal salt, but it’s fun to use all the same. 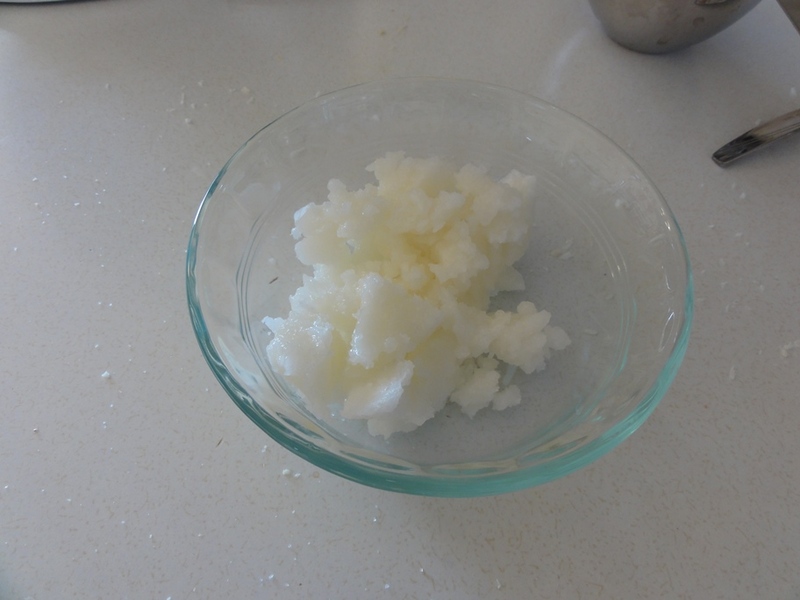 Measuring out coconut oil when it’s solid can be tricky, but the wonderful thing about coconut oil is that if you measure out too much you can just pour the excess back into the jar and it will solidify again until you next need it. That perfectly functional spatula on the side there would’ve worked fine here. 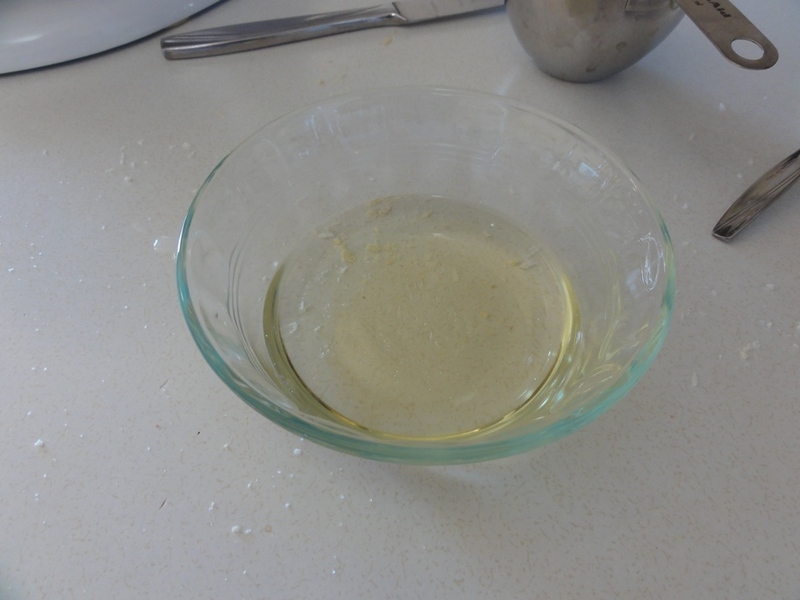 If the “dough” gets a little hard to work with, just wash out whatever you’re using as a scoop. 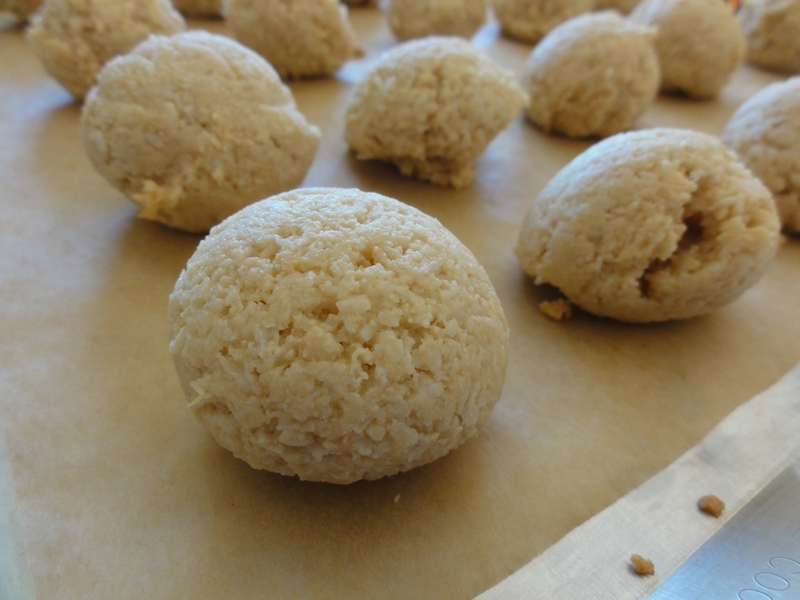 I found that doing so every 4-5 macaroons kept things going at a decent pace, otherwise I’d spend forever trying to form a macaroon into shape while it kept getting stuck to the tablespoon. No need to worry about keeping them apart from each other on the tray; they should more or less keep their shape. Bonus: you can fit a single batch on one tray. They’ll be just slightly crisp and brown on the edges when done. I’m pretty pleased to uncover this website. I want to to thank you for ones time due to this wonderful read!! I definitely loved every bit of it and i also have you bookmarked to see new stuff on your web site.